Beautiful gemstones in a rainbow of colours are the focal point of Valerie MacCarthy's exquisite wire and chain jewelry in this paperback reprint of a Lark bestseller, with a new lower price and a redesigned cover! Her stylish, organic jewelry designs embrace an eclectic balance of styles, from funky to sophisticated. 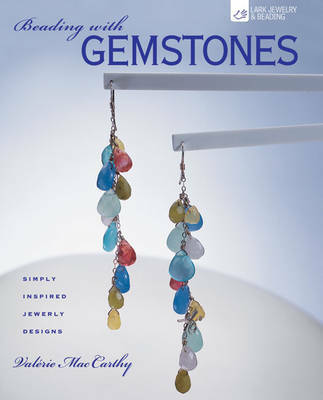 Valerie shares her secrets and techniques in 30 simple-to-make yet gorgeous projects, including a balloon ring festooned with seed pearls; chandelier earrings with sparkling, dangling stones; and, a fireworks necklace of citrine, peridot and apatite.